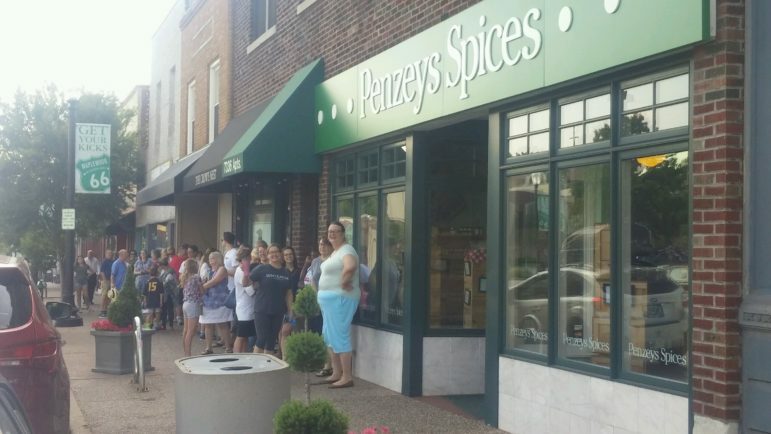 The long line at Penzeys Spices recently was for another one of the company’s free specials, which was, like others in the past, politically motivated. 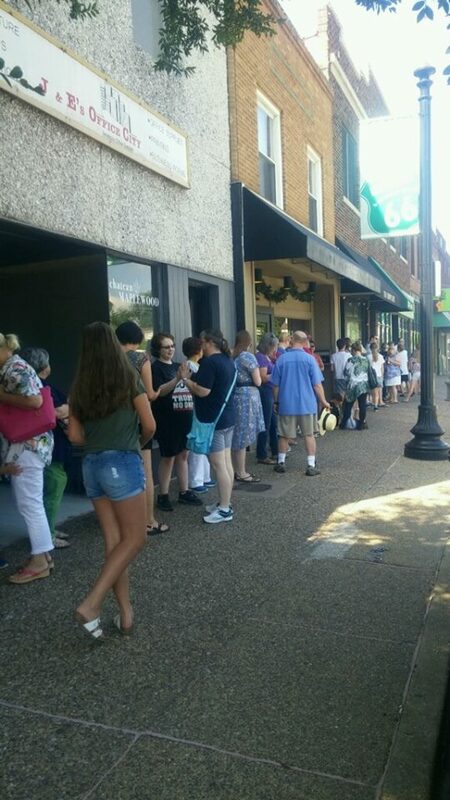 Photos via Enjoy Maplewood on Facebook. Maplewood needs something cooler. Like a beard store. Beards are cool, aren’t they? Um, we have a beard store. I’m a loyal supporter of Penzey’s and am happy to support the company (and what they stand for) by shopping there. The gift box they gave away was fantastic! Their Mexican vanilla extract is one of my favorite items and it was totally free. I will continue to spend my money at businesses who speak up for the rights of everyone. We’re lucky to live in an area with so many progressive business owners. I won’t be shopping there. Sorry. I love supporting Penzeys and all they stand for. I too use my wallet, and that’s why I don’t shop at Walmart. What happened to that illegal that was hold up in the MPW church? Did he get deported? Dave, about the only difference between Penzey’s and a lot of other businesses is that the owner is pretty vocal about his views. as I see it. He does not leave it to doubt or make you wonder where he stands. Other business are not always so vocal. As for voting with you purse if you knew of some other business that you probably go to and what they support or don’t support you might not be able to do much shopping. You would have to do a deep dive to know some of the company policies on political and social topics to know where you want to shop. How you do that I am not totally sure but I am sure there is some place to do that. Penzey’s just does it for you. I was a regular customer of Penzeys for years making several purchases a month. I have not entered the store because of the owner’s strong political statements that were shared prior to the November 2016 election. I don’t miss Penzeys a bit, and have probably saved a lot of money purchasing spices in grocery stores. I vote with my purse. You have inspired me to do the same, thank you. I have never been to this shop but will be going there now. It’s a great store and Mr. Penzey’s has a great message. One of my favorite places. What are Chick-fil-a’s health care policies? I believe Chik-fil-A is one of the companies that refuses to carry insurance that covers birth control for their female employees. The owner also speaks out against LGBTQ rights. He is an evangelical who believes it is his job to tell others how they should live their lives. That’s why the restaurant isn’t open on Sundays. Ditto on that! Bill Penzey made it clear how he felt if customers didn’t vote his way( bully) I don’t like being pushed around like that regardless of how I vote. So I found Savory Spice online! Fantastic products- better value and free samples! Better than Penzeys any day!